In 1983 I moved from the local church ministry where I served to lead a ministry oriented to serving local churches. The heart of my burden was to help pastors and churches train servants for the Great Commission in a philosophy and approach to discipleship and ministry that would be shaped by Scripture and that would enable them to remain faithful to its teaching over time. When I came to Northland it was a Baptist Bible college committed to biblical authority and historic Fundamentalism. Almost three decades later, the Bible college still occupies the center of what has become Northland International University. Along the way, God sent many faithful servants to join hands in turning this vision into a reality. All of them came because they were attracted to the core philosophy that shaped Northland into what it is today. In 2002, after I spent almost two decades at the helm, God brought Dr. Matt Olson to assume the presidency as I continued to serve with him and the team in the role of chancellor. For the past nine years, I have had the joy of helping him to carry out the vision and to implement the principles that have always been true at Northland. I have been spending countless hours in discussion and prayer with Dr. Olson and with Northland’s administrative team. I do want to make one thing clear to you: what you might perceive as “news” about Northland is actually not really news at all. In recent days some are questioning whether Northland has departed from the original vision and historic position that shaped us as an institution. Though this does not surprise me, frankly, it saddens me. As we have attempted to responsibly adjust the way the vision and philosophy is applied in certain settings at our institution, the foundational principles and historic theological positions to which we have always been committed remain unchanged. These adjustments reflect our desire to be faithful to a vision and to truth in ways that keep vision and truth in front of a new generation facing new challenges in ministry. What we see happening at Northland is the realization of many years of teaching and concerns that many of us have had throughout our years of ministry. Northland has always been a Bible college at its core. It has always been committed to the authority and all-sufficiency of Scripture. It was true for Northland when I served as president. I’m excited to say that it remains equally true under Dr. Olson’s leadership today. If you think that you are seeing a change in philosophy at Northland, I ask you to visit our campus and take a closer look. The philosophy that I, and others, have attempted to formulate and teach during years of service continues to be taught and implemented by the current Northland administration. They are making adjustments in application just as my generation had to do from time to time in our day. Should the Lord tarry, this process will continue for future generations. However, it is our passion and prayer that when we all stand together in Glory and look back on what God has wrought, we will look back to observe an unchanging commitment to the biblical principles and philosophy from administration to administration. At Northland we have chosen to keep our focus on the highest concerns facing our generation while keeping Fundamentalism centered on the historic fundamentals of our faith that best articulate our core understanding of biblical truth. I want to assure you that Northland’s emphasis has always been on building the inner man. From that emphasis, we know there will result a God-pleasing walk. Northland has been attempting to put a means into place that better prepares its students to follow the mind of Christ and to not be driven by the fear of man. Some years ago, Dr. Doug McLachlan and I teamed together to reach out to a group of younger men who were growing increasingly disillusioned with Fundamentalism. We heard their frustrations first hand as we ministered around the country in pastors’ conferences and meetings. It was out of such experiences that Doug’s book Reclaiming Authentic Fundamentalism was born. God used that book to help encourage many young men to remain committed to the true and biblical essence of historic Fundamentalism. Over the years several hundred of them have come through our graduate program. When Doug published Reclaiming Authentic Fundamentalism , there were a few who expressed genuine, heartfelt concern. There were also critics who wrongly interpreted the intent of the book and, consequently, assumed Fundamentalism was being compromised. Almost two decades later, the results speak for themselves. Some may doubt those results, but I know of many young men who are now serving in churches or on mission fields or leading ministries—who might otherwise have departed for New Evangelicalism—in part because of what Dr. McLachlan had the courage to say. Though some warned that his book was a departure from historic Fundamentalism, it was in fact a refreshing and healthy corrective to the Fundamentalism of my day. It is my belief that the future will reveal the same to be true of some of the adjustments that Dr. Olson has had the courage to implement under his leadership. Time will prove this out. In the meantime, I plead with those of you who care about the big picture of God’s work to keep in mind the main thing: we live for God’s glory, in response to the Gospel, directed by the Great Commission, and motivated by the Great Commandments. Pray that God would grant us wisdom as we seek to advance the cause of Christ. I think it is important to note that this was NOT sent out as an open letter as Matt Olson's letter was. Dr. Olson actually titled his letter an "Open Letter" where Dr. Ollila sent this letter titled "Is Northland Changing? A Chancellor's Perspective." If there was fundamentally no change, then why did Dr. Kevin Suiter (Director of Fine Arts) and other fine arts faculty feel compelled to leave? Why was the "non-change" so hard to communicate to faculty? Who decided to leave besides Suiter? "As we have attempted to responsibly adjust the way the vision and philosophy is applied in certain settings at our institution, the foundational principles and historic theological positions to which we have always been committed remain unchanged. These adjustments reflect our desire to be faithful to a vision and to truth in ways that keep vision and truth in front of a new generation facing new challenges in ministry." When Dr. Olson said that things have not changed, I'm assuming he was referring to their foundational values and beliefs. Foundational principles and philosophy are remaining unchanged but the application of that philosophy will be tweaked. Hopefully, all of us in ministry are staying firm on our core beliefs but tweaking our approach to ministry as our society and culture change around us. God's Word and its principles never change but how we apply its principles may need to be altered as we minister to different types of people and differnt circumstances. Good for Northland for having the courage to actually see a need and take action. Too bad more people in fundamentalism don't follow suit in tweaking some things while still staying true to the core doctrines, principles, and values of God's Word. We won't answer to humans at the end of our lives, only God. Northland is known as the pioneers! Thanks for the note. I want to say so much to so many just now. Ten years ago I would direct my comments to 5 or 6 different groups of people who I've seen comment. Now that I'm a bit older, I'll direct my thoughts to just 3 of them. I'll be a bit "stronger" and even a little "edgy" but will try to season this with a measure of grace. I'm sorry that ministries and leaders who should know you and Matt and Doug and the ministry that you've lead for decades would so easily assume the worst at a time when you make attempts at improving the direction and strength of your ministry. Even when you make a shift in mission and you don't shift the essence of who you are, but you attempt to improve or change ever so slightly "what" you do, certain types will loose their ability to trust you. I personally believe this has far more to do with "them" than it does "you." Consider my hypothesis (which means at some level I'm making a guess) about many of these critics (deep sigh) - OK not all of them are "socially off" or "driven by hidden agenda's" or fill in the blank. I am sure a group of them are principled. My guess is that more than a few of them are simply "cynics" - and as such are only gifted with the gift of criticism. Of course they will call it a gift of discernment. I've noted that usually when someone tells me they are gifted in discernment - they are odd people that need more help than what I can give them. The most poisoned of this "people group" who will respond to improvements or even "change" in ministry are usually people who have failed in ministry. They see your success and they see you are willing to risk "whatever" to be even more faithful and they would never have the guts to do that - or when they did that it went bad for them and so they do what they do best - "nit pick" at those who demonstrate true leadership. I'm reminded of these types in the quote of Henry Ward Beecher - "The cynic is one who never sees a good quality in a man and never fails to see a bad one. He is the human owl, vigiliant in darkness and blind to light, mousing for vermin and never seeing noble game. The cynic puts all human actions into two classes: openly bad and secretly bad." So, it's good. You guys will talk about the things that are said by your friends and foes alike. You can gain insight and strength. The next time you implement change you might handle it a little different. Of course then the same "cynics" will accuse you of being "dishonest," "sneeky," etc.....Just don't be too discouraged by the "nay-sayers." Too many of them are simply "cranky people." I'll save the rest of what I want to say to the other groups for latter in the week. Why was it right to withdraw from the God Focused Conference because of Rick Holland but it is now right to invite Rick Holland to speak at Northland? Has it always been in keeping with the Northland vision and philosophy to invite Campus Crusade for Christ staffers in as speakers? Has it always been in keeping with the Northland vision to invite http://www.sermonaudio.com/playpopup.asp?SID=122101434441 ]ex NBA players to speak whose website features http://www.iamctg.org/ music like this ? If this has always been the vision and philosophy of Northland, then I guess I have been fooled, and I regret having Northland ministry teams and speakers in our church in years past. Take a look at Matt Olson's letter (http://www.sharperiron.org/article/open-letter-from-dr-matt-olson-of-nor...), he tells everyone why Dr. Suiter is moving on. I have quoted him below to make it easier for you. Our Director of Fine Arts, Kevin Suiter, has recently informed us he does not believe he can take us forward in this way and thus has announced his plans to move on. We wish Kevin and Grace the best and thank them for the investments they have made here. Dr. Ollila did not even mention Dr. Suiter in his letter, so this is well off topic already regarding Dr. Ollila's letter. Also, The Suiter's are the only ones that are not teaching for Fine Arts next year...everyone else is still teaching. Apologies for the incorrect title and thanks to gadietrich for the heads-up. Kindergarten. Please stop the "gobbledygook." Letter one was Feldergarb. Letter two is gobbledygook. Just answer some simple questions. Why did you gentlemen buy some airline tickets, book some hotel rooms, and fly to Southern California to meet with John MacArthur, Phil Johnson, Rick Holland, and perhaps some others? What was the purpose of this personal meeting? 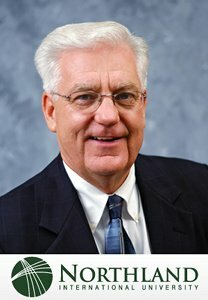 What was the thinking behind then inviting Rick Holland to speak on your campus? Does NIU agree with the Lordship Gospel as articulated and zealously promoted by John MacArthur? What is the position of NIU with regard to Reformed Soteriology, Limited Atonement, and the logic of regeneration preceding faith? You have met with men holding certain controversial doctrines and involved with schools whose graduates have raised some concerns here on the West coast. You flew all the way out here to Southern California to have a discussion. The information and answers requested should not be construed as contentious but only normal considering the duty we all have of Christian transparency in ministry. There should be no duty of confidentiality that should supersede that under these circumstances. Les Ollila, you have brought yourself into the discussion. Please give some meaningful information. It would be appreciated. Many respect you and will respect meaningful information from you. With all due respect, thank you for the letter but now give some real information. This kind of communication only raises more questions and accentuates the problems. Just be strait, open and direct and many will respond respectfully to that approach. You have asked some really great questions. Unfortunately, I doubt that Dr. Ollila reads this blog or any blogs for that matter. Your best course of action to get these questions answered is going to be by calling and talking to Dr. Ollila and Dr. Olson directly. You can reach them at 715.324.6900. Simply ask for their offices and I am sure they would be glad to talk with you or arrange a time to talk. I am confused by your support of Bob Jones University based on your comments above. BJU has had many politicians speak at the school during election times. I know they are all conservative republicans, but I would hardly call any of them close to fundamentalists. Again, I am not arguing either one is right or wrong, and maybe you don't agree with BJU, but your different responses do not add up. I went through this thread and could find no other Bob so perhaps this post is addressing me? If so I am puzzled as I have never supported or recommended BJU in any manner. I do respect some of their graduates. The only posts on BJU that I have done have expressed my not recommending BJU. Part of this is my past experience in virginia with Jim Crow laws, with multi ethnic ministry, and dissatisfaction with the way BJU has handled their change of policy on that matter. My account of Pastoring a multi ethnic church is on SI and I have a multi ethnic family. If this was not addressed to me then I am sorry for getting off topic with this reply. I meant Don, but wrote Bob. Apologies. He does say in there somewhere that they are adjusting applications of their principles. Adjusting is changing. So what he's trying to say, in part, is that you have to change to stay the same (applying unchanging principles to changing conditions requires that). But he also emphasizes that this is change in the same direction the school has always been headed. So... no new trajectory. Bob: You have asked some really great questions. Unfortunately, I doubt that Dr. Ollila reads this blog or any blogs for that matter. Your best course of action to get these questions answered is going to be by calling and talking to Dr. Ollila and Dr. Olson directly. You can reach them at 715.324.6900. Simply ask for their offices and I am sure they would be glad to talk with you or arrange a time to talk. Bob, has anybody ever suggested you need to work on your tone? There's a way to say things that might get results and a way to say things that is virtually guaranteed not to. You're specializing in the latter http://sharperiron.org/comment/22861#comment-22861 ]here . A heads up to folks in general. This thread will probably not go on for all that long. I think most of what folks felt the need to say, they said five times over in the thread Olson's letter. So this one will not go on for 200 posts. If you have thoughts to share, they're welcome but you'll probably only get a few opportunities to post so... aim for quality rather than quantity I suppose. 1. Who are you? I've heard of Dr. Ollila and have followed his faithful ministry since his days at Life Action, but somehow, you have slipped by unnoticed. 2. Form what I know of the situation surrounding the God Focusesd conference the reason that Dr. Ollila withdrew was because Dr. Olson thought it to be the best course of action for deferrence sake, but, surprise surprise, the "fighting fundies" are still crying about it and making it into something that its not. Dr. Ollila has been deferring to the careless and inconsistent treatment of the Bible at the hands of men in "fundamentalism"(a tragic misuse of the word) for a long time and PRAISE GOD he seems to have finally had enough. 3. I know nothing about the son of Dr. Olson other than that he is attached to NIU in any way, and as such, should not be part of this conversation. Your obvious personal dig is both dispicable and indicative of a deeper issue. 4. Is it the presence of an ex-NBA star that bothers you? Or is it the music that is on his website? I checked the site and found instrumental music from the ROCKY soundtrack. What makes this wrong? Can you show me scripture, preferrably not taken out of context, that would support your position? Proverbs 6: (16) These six [things ] Jehovah hates; yea, seven [are ] hateful to his soul; (17) a proud look, a lying tongue, and hands that shed innocent blood, (18) a heart that plots evil plans, feet hurrying to run to mischief, (19) a false witness who breathes lies, and he who causes strife among brothers. I am a Fundamentalist and yet as a "fundamentalist" one must have the fruits of the Spirit. Let us please be very careful with what we write and how we use scripture to kill and destroy. If one disagrees that is fine and is a result of "individual soul liberty". I am also an Independent Baptist and believe that some of the fundamentalist of the past and present were "fighting fundies" but so were and are many of the less conservative brethren who throw the term "fighting fundie" around with such venom. Let us all be very careful as the unbelieving world doesn't recognize or understand the differences between us. God forbid that our invective and lack of love should be what they see and remember. While I appreciate your post and agree with you on some level, I am forced to look at how Christ reacted to the Pharisees. If the "fighting fundy" shoe doesn't fit, don't wear it. There comes a time, however, when open arrogance and anti-biblical positions are being aggressively maintained, when it is necessary to lay it all out on the table for what it is. The "fundies" have held fundamentalism hostage for far too long and have done it with flawed premises and heretical treatment of the Bible. They have bullied and manipulated and those of us who stand on the actual Fundamentals of the Faith should not hold back any longer. Truth is truth. We are not dealing with the weaker brother here. We are dealing with a cancer that has been allowed to spread for far too long. Bob, has anybody ever suggested you need to work on your tone? There's a way to say things that might get results and a way to say things that is virtually guaranteed not to. You're specializing in the latter here. Aaron, I am purposely addressing these letters with this "tone" as they are condescending in their "tone" and give no real answers. I have seen this several times before. Churches and institutional leaders are good at PR but do not discuss the real behind the scenes discussions and issues. A decade later their different and claiming to uphold the values of their founding fathers. Biola, Westmont, Wheaten, Cornerstone, Cedarville, and Northwest are but a few who make such claims. Yesterday I saw Chris Wallace interview Justice Breyer of the US Supremes. He is a liberal justice who holds to the Roscoe Pound social Jurisprudence philosophy. When asked some specific questions he pulled out a copy of the Constitution in booklet form and said he holds to the values that are there by the founding fathers but the issue is the application of the values. Of course he does not hold to interpreting the constitution according to original intent. However, his explanation gives the impression he does but the problem is application. Does not the above look familiar? I come on here and see a letter from a person of good reputation and well respected that is saying the values at NIU are unchanged only the application is changing. Well, thats part of how a change in principles or values processes. So what is it that has changed and why? Some poster on here is talking to himself in his own terminology and talks about some "Chicago way." Well, the process by NIU is possibly the "Chicago Way" as it mimics what has occurs in the present White House. Its closed door discussions and some actions with general PR statements to sooth any concerns. The Pharisees Jesus was against were not saved individuals. The castigation of them by Jesus in Mat 23 makes this obvious. The word "pharisee" is another overused and misused term. I am not trying to anger you but caution you against using names to attack people instead of ideas. I think Aaron answered this. At no time did BJU ever present politicians in a religious service that I can recall. They held political convocations during campaigns and allowed various politicians to come in and address the students. I think the politicians were generally of a stripe BJU would support, although I don't think their presence always constituted an endorsement. And some that I heard would have certainly not have been universally supported by BJU people. Anyway, I am not sure what relevance this point has to the topic at hand. Perhaps you have a further point to make from it? After this response, Jeremy, I think I'll put you in the category of James K and just ignore you. Who am I? A sinner saved by grace. That should be sufficient to qualify one for participation in a Christian discussion forum. 3. I know nothing about the son of Dr. Olson ... not attached to NIU in any way, and as such, should not be part of this conversation. Your obvious personal dig is both dispicable and indicative of a deeper issue. I know that this "Olson" is a Campus Crusade for Christ staffer. I know that he recently spoke at Northland. I know that there was a news item about his appearance there, but that the news item no longer exists. My concern is that a CCforC staffer would be invited to speak at an ostensibly fundamentalist school. The withdrawal of the news article is strange. The original link included a link to CCforC staffer's web page. Then the link was gone. Now, the whole news article is gone. Strange. The comments of James K and JeremyO in this thread are exceedingly immature. I wonder at your rebuke of Bob T and allowing these comments to pass unchallenged. I was not calling the "fundies" Pharisees. I was simply talking about Christ's reaction to the ACTIONS/ATTITUDES, not the eternal positions, of the pharisees. I was speaking to the arrogance, public posturing and intimidation that are, ironically, the same tactices used by the "fundies" of whom I am speaking. However, it is a fine point you bring up regarding the fruits of the spirit such as love joy and peace etc, which, from what I have observed from these gentlemen in their earlier posts, are glaringly absent. I will get the name right this time. My point is this: You seem to indicate that you have no problem with a special convocation for political figures to come in a give a speech about their desires for public office. How is that different than Northland having a special chapel for a sports figure to share his testimony with a gathering of the student body? You were critical of NIU, yet do you know that it was not billed as a special chapel for a specific purpose. I do agree that we need to be careful who we allow to come in and speak to our young people, but again - consistency. It seems as though you will not give NIU the benefit of the doubt for anything here. Since this thread is not lacking in personal attacks, hyperbole, and off topic comments, I am temporarily closing the thread until the moderator team has time to review it. James 3:13–18 (NKJV) — 13 Who is wise and understanding among you? Let him show by good conduct that his works are done in the meekness of wisdom. 14 But if you have bitter envy and self-seeking in your hearts, do not boast and lie against the truth. 15 This wisdom does not descend from above, but is earthly, sensual, demonic. 16 For where envy and self-seeking exist, confusion and every evil thing are there. 17 But the wisdom that is from above is first pure, then peaceable, gentle, willing to yield, full of mercy and good fruits, without partiality and without hypocrisy. 18 Now the fruit of righteousness is sown in peace by those who make peace. There's a right way and a wrong way to express criticism, even strong criticism. It's one thing to say that you believe what someone is saying is unclear. It's another entirely to declare their words to be intentional gobbeldy gook. I can imagine scenarios where that might be justified. This letter is clearly not one of them. Though I may not approve of the way NIU is applying its principles in every particular I see no reason at all to doubt that this is what they are attempting to do. And though it probably isn't necessary to say this (because it's obvious to most): I see absolutely no tone problems in any of the two Dr.O letters. (For whom it applies: even if there was a condescending tone in these letters, as I tell my kids, "Just because you think somebody is doing something wrong to you doesn't mean you are right to do it back."). Maybe after tempers have cooled a bit we can have a grown up conversation about applying separation principles in today's milieu. I don't think we need to have a conversation at all about whether we think these folks are being honest with us. In any case, we already had that one a couple of weeks ago and don't need to have it again.